Watford’s 2011/12 season may have only concluded a week or so ago, but for many, thoughts are already turning to the start of the next campaign. One of the most eagerly awaited dates of the summer is of course the magical day on which the new fixtures are announced, but this year we have a treat. We already know what the first game at Vicarage Road will be – and it’s a bit special. On Saturday 4 August, Watford welcome Premier League Tottenham Hotspur to WD18. On Saturday 4 August, we show how much we value loyalty and hard work. 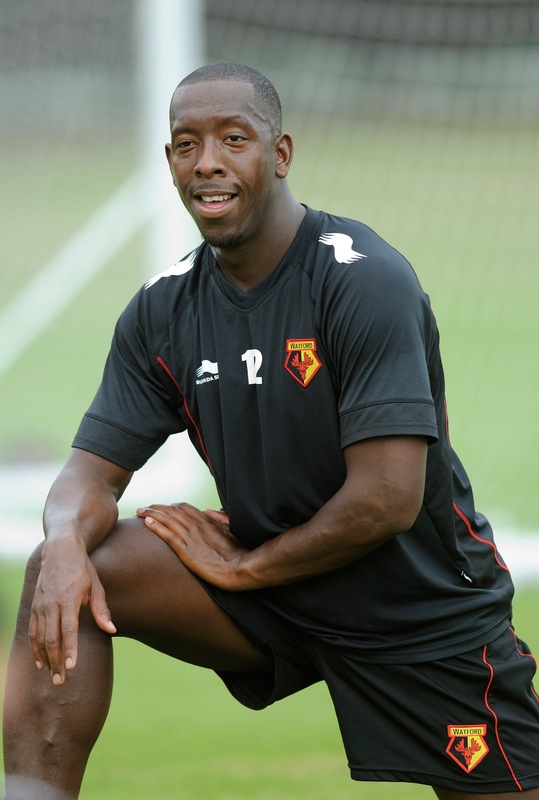 On Saturday 4 August, we celebrate Lloyd Doyley’s testimonial fixture. Born and raised a stone’s throw from the North London home of our opponents to be, Lloyd has now appeared in the yellow of Watford a staggering 370 times in a first team career spanning 11 years, and has turned in performances for six different managers (How quickly can you name them?). In an era dominated by big money transfers, agents and an increasingly rapid turnover of playing staff, this is a remarkable achievement and in August you and your fellow Watford fans have a chance to come out in force and say thanks to one of the clubs most loyal ever servants. In talking to From the Rookery End recently, Lloyd looked back on his ten years and reminisced about a couple of the more bizarre moments in his career. “In a home game with Palace, I committed handball. It wasn’t your average handball though. The ball was going to clear my head and I reached up and caught it. The next thing I know there were three or four Palace players steaming towards me, so I just threw the ball out of play and ran! Presumably Lloyd is hoping for happier, slightly less controversial memories against Tottenham in August? “It’s an honour to have played for Watford for so long and I really hope the day is one to remember for Watford supporters. They’ve been amazing to me throughout my career and I hope they know what a difference that makes to a player. Having the fans on your side is a huge boost. I can’t believe I’m in my testimonial season and am really excited that this game has been arranged – I can’t wait. I’m originally from the area, so it will be great to have Spurs here. Obviously we ran them very close in the Cup, so hopefully we can get a bit of revenge this time round. As a pre-cursor to the main event, there will be a Hornets Legends V Spurs Legends game, ensuring that for one day only Vicarage Road will be swarming with Hornets heroes both past and present, with a few familiar faces from White Hart Lane added to the mix for good measure. It certainly won’t be a day to forget the autograph book. Tickets will be on sale soon, so keep your eyes on the ‘From the Rookery End’ site, as well as the clubs Facebook and Twitter feeds, as well as www.ldx2012.com which will all have details as soon as they are available. Until then – Saturday 4 August. Get the date in your diary. 2012 – It’s the year of the Doyley!